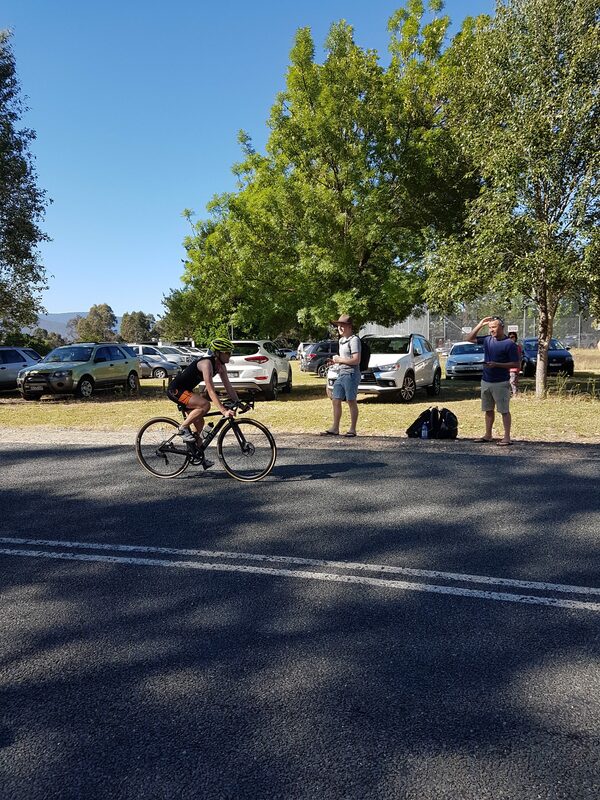 I’m still coming down after another fantastic Sunday spent with so many inspiring women, who successfully completed the 2018 Albury Wodonga Triathlon Club (AWTC) Women’s Tri. To say I am passionate about health and fitness, as well as having a headstrong enthusiasm about helping people to remain fit and active, is an understatement. I place my health (nearly) above all in my life, without it I fear I wouldn’t have any of the things I hold so dear to me – sorry family! I would like to think that I am a mentor to others to get and stay active. There are no two I would hope to inspire to do their best more than our daughters, Clare and Lucy. So it was pretty special to coax them into “sprinting” (their words, not mine!) the last 150m of the run leg with me on the weekend. There were so many other special stories out there of women having a go for the first time, some seasoned campaigners, who at the start line (while I was quietly visualising myself just getting through the swim leg) were encouraging and supporting these newcomers, offering a little word of wisdom or support. Some of the girls had been called in at the last minute to support teammates and friends who had a team member unable to participate. Some mums got up early to breastfeed babies prior who, with other siblings then cheered from the sidelines. I was envious to see quite a few mum’s participating in the event WITH their daughters! Other girls came back for the first time after a long break away from the sport. Many girls commented that they were a part of a team as they didn’t do a particular leg – but at the conclusion of the event I quietly wondered (and hoped), how far their sense of achievement at completing this event may take them with their future health goals and resultant happiness. Sometimes the hardest thing about fitness is getting started and that’s what so many girls did out there on Sunday! 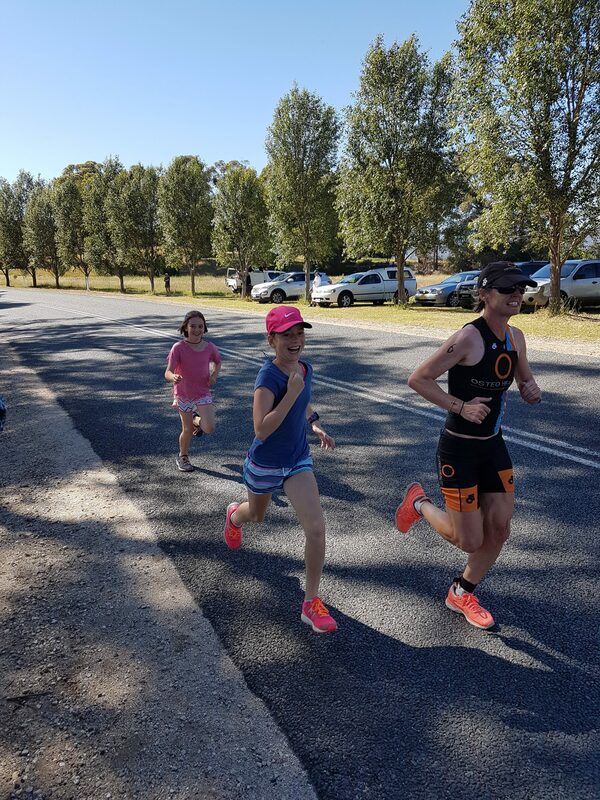 The Women’s Tri is a great event to facilitate overcoming perceived barriers when getting into new activities. Events like this can be just the catalyst for people to begin to prioritise their health. Mum’s are a particularly high risk group, given their tendency to look after others first. Mum’s also model behaviours for their kids, so we can tell them (Mum’s) to exercise as much as we want but SEEING Mum do it is incredibly powerful to the kids. The camaraderie out on course was amazing with so many enthusiastic words of encouragement from fellow participants as well as marshalls, many of whom were members of the AWTC who had volunteered their Sunday morning to support the event. In transition, (I have been known to spend some time here.. who says you don’t need to wear socks in a triathlon?!) I was uplifted by kind words of encouragement from the AWTC team which perhaps took just a little of that pain away from my legs on the run. Congratulations to all participants and to the AWTC who have celebrated 10 years of this amazing event. This event has encouraged more women to get active more often, have fun and raise money for some very worthy charities along the way. Long may this event continue and we will be back! ←Tips from the team on surviving the Christmas period!